The American Barbell Safety Squat Bar offers a range of training benefits and is an excellent tool for building overall strength and stability, as well as max-load lifts. It is suitable for athletes with limited mobility, shoulder, elbow or wrist limitations, as well as those in recovery/rehabilitation. With regular use, expect to also see gains outside of the squat - namely in your deadlift. 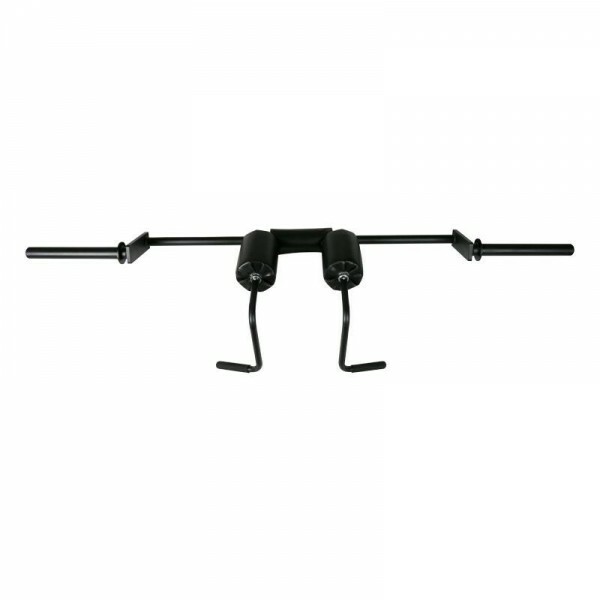 The safety squat bar is great for all types of squats, lunges, good mornings, zercher squats and back raises. It is also an excellent tool for training the posterior chain. The Strongman collar is specifically designed to fit the 1.90" standard diameter of the bar sleeves common on strongman equipment (fat bars, cambered bars, hex bars, safety squat bars, Log Bars, and farmers walk handles) This ensures you have great safety and collar performance on all of your strongman bars.